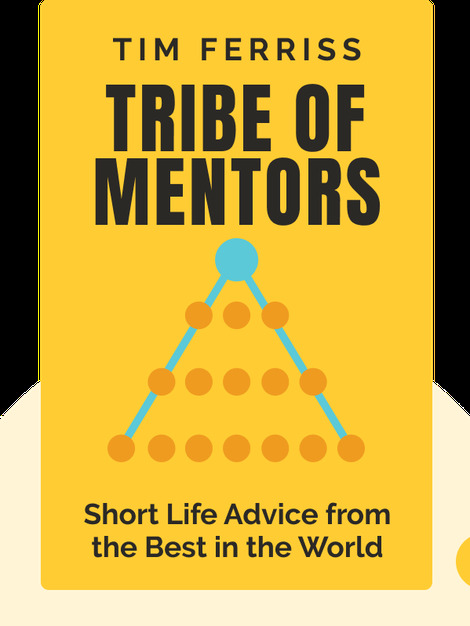 Tribe of Mentors (2017) is an insightful collection of interviews with mentors – highly regarded professionals who are widely considered to be leaders in their respective fields. 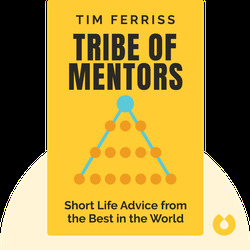 To understand the secrets of their success, Tim Ferriss asks these mentors a variety of questions, from “What are your favorite books?” to “What are your daily habits?” The answers add up to a trove of useful tips for getting to the top. Tim Ferriss, sometimes referred to as “the human guinea pig,” has conducted countless experiments on himself in a quest to find the best and most effective self-help techniques. His diligence has resulted in his best-selling 4-Hour series of books, which include The 4-Hour Workweek and The 4-Hour Body. He’s worked as a consultant for top companies like Facebook and Twitter, and hosts his own popular podcast, The Tim Ferriss Show.